Some owners of homes in the foreclosure process may not realize that their properties have risen so much in value that they could sell or refinance, according to a report from foreclosure data aggregator RealtyTrac. Fewer properties in the foreclosure process — those that had a notice of default or scheduled auction but were not bank-owned — had negative equity in the first quarter — 45 percent, down from 58 percent in first-quarter 2013 — and more had positive equity: 35 percent, up from 24 percent a year ago. 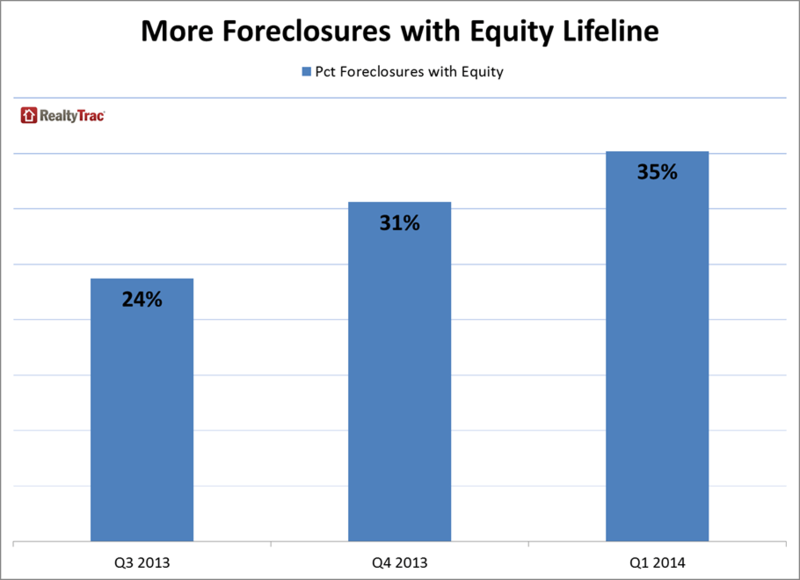 “The relatively high percentage of foreclosures with equity is surprising to many because it would seem homeowners with equity could easily avoid foreclosure by leveraging that equity by refinancing or with an equity sale of the home,” Blomquist said. Major metro areas where more than half of the properties in foreclosure had equity included Denver (64 percent), Boston (58 percent), Minneapolis (58 percent), Houston (54 percent), and Washington, D.C. (52 percent), according to RealtyTrac. The number of equity-rich properties — those with at least 50 percent equity — grew to 9.9 million representing 19 percent of all properties with a mortgage in the first quarter, up from 9.1 million representing 18 percent of all properties with a mortgage in the previous quarter, RealtyTrac said. Meanwhile, 8.5 million properties — 16 percent of all properties with a mortgage — were hovering around positive equity in the first quarter with between 10 percent negative equity and 10 percent positive equity. That’s up from 8.3 million in fourth-quarter 2013. There were 9.1 million properties whose owners were seriously delinquent last quarter, meaning the mortgage balance was at least 25 percent more than the home’s estimated value. That’s the lowest number since RealtyTrac began monitoring negative equity in first-quarter 2012. The most recent peak of negative equity properties was in second-quarter 2012, when 12.8 million homes representing 29 percent of all U.S. properties with a mortgage were seriously underwater, RealtyTrac said. By contrast, last quarter’s seriously delinquent properties represented 17 percent of all mortgaged homes. But RealtyTrac noted that the pace of recovering equity slowed in the first quarter as home price increases eased. 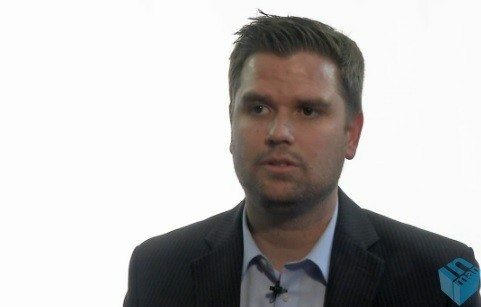 “Slower price appreciation means the 9 million homeowners seriously underwater could still have a long road back to positive equity,” said Daren Blomquist, vice president at RealtyTrac, in a statement. 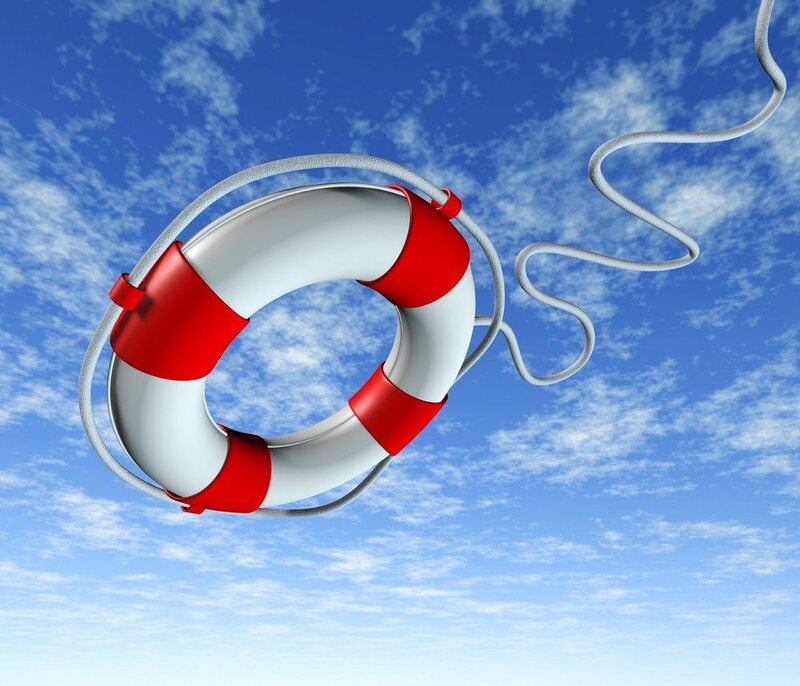 Underwater mortgage insurance: solution in search of a problem?